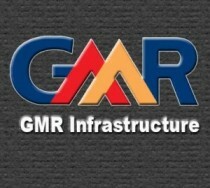 GMR Infrastructure on Tuesday said it plans to raise Rs 50 billion (Rs 5,000 crore) by selling shares in domestic as well as international markets. The board of the company, at its meeting on Monday, has decided to raise the amount by issuing equity shares, Global Depositary Receipts, American Depositary Receipts, Foreign Currency Convertible Bonds, or through private placement of shares, GMR Infra said in a filing to the Bombay Stock Exchange. Besides, the company has appointed Srinivas Bommidala as Managing Director with effect from May 24, the filing added. GBS Raju has resigned as the MD of the company with effect from May 12, but would continue as Director on the company board.